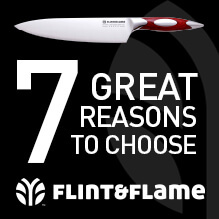 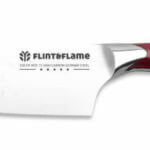 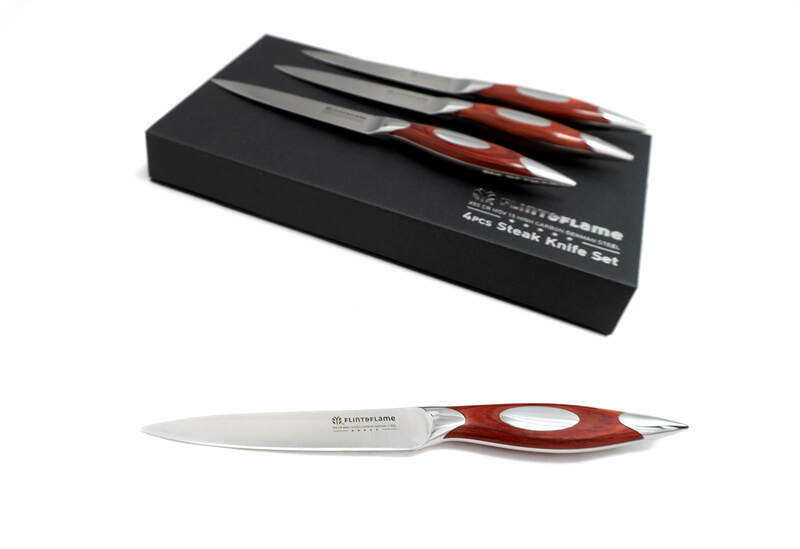 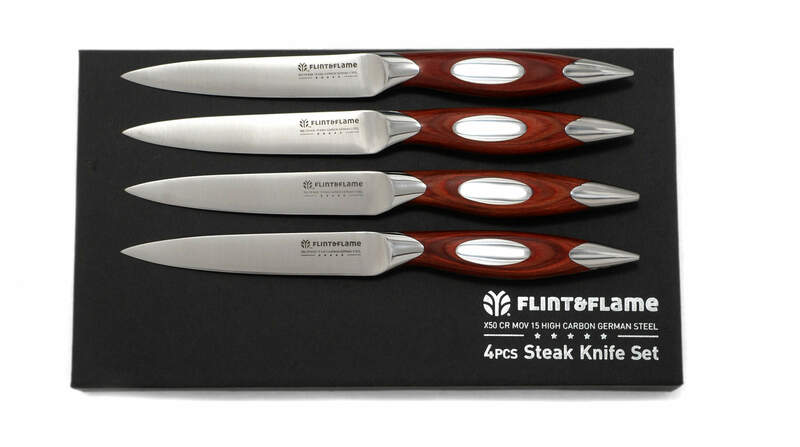 A set of 4 exquisite Steak Knives that feature Flint & Flame’s sleek signature design. 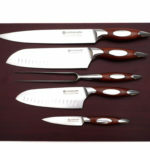 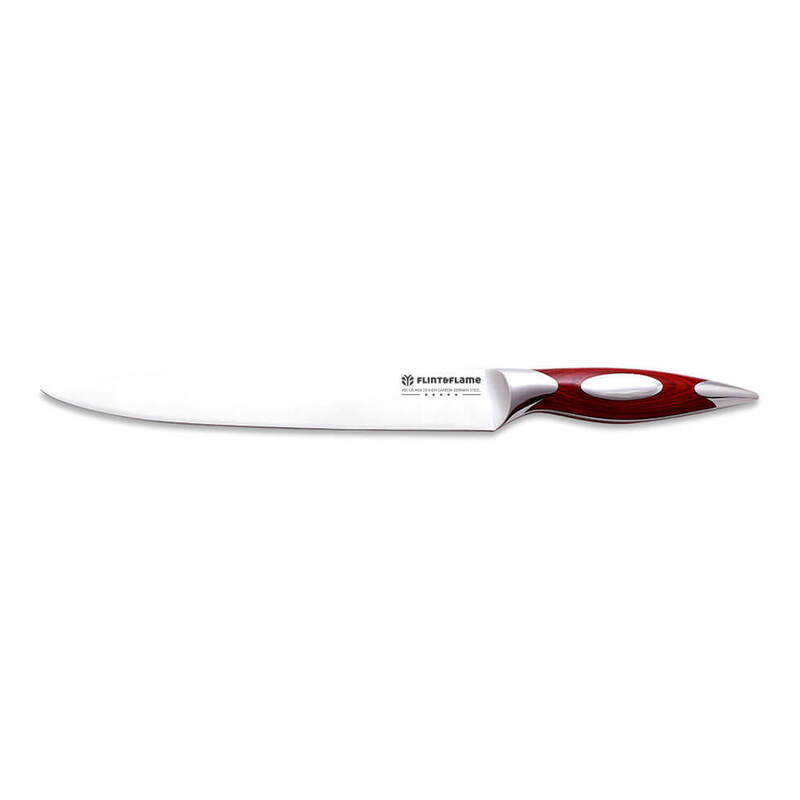 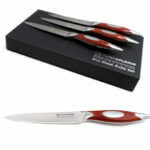 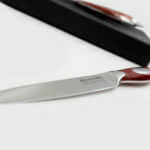 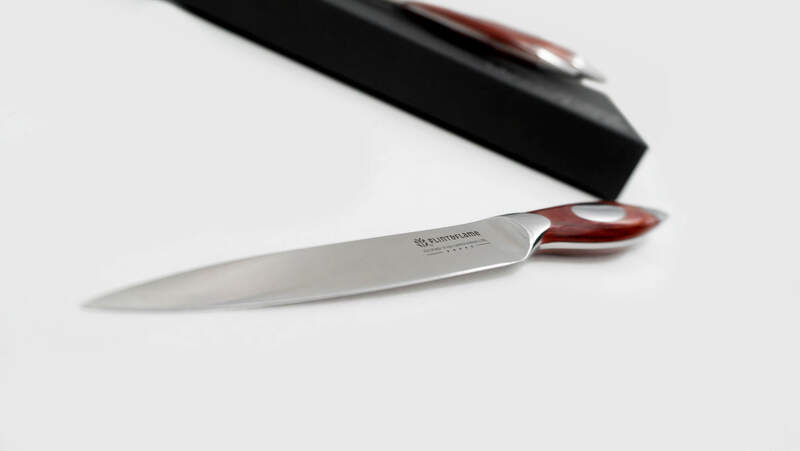 These knives are excellent for cutting through tough meat and are an all-round pleasure to use. 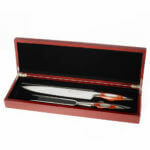 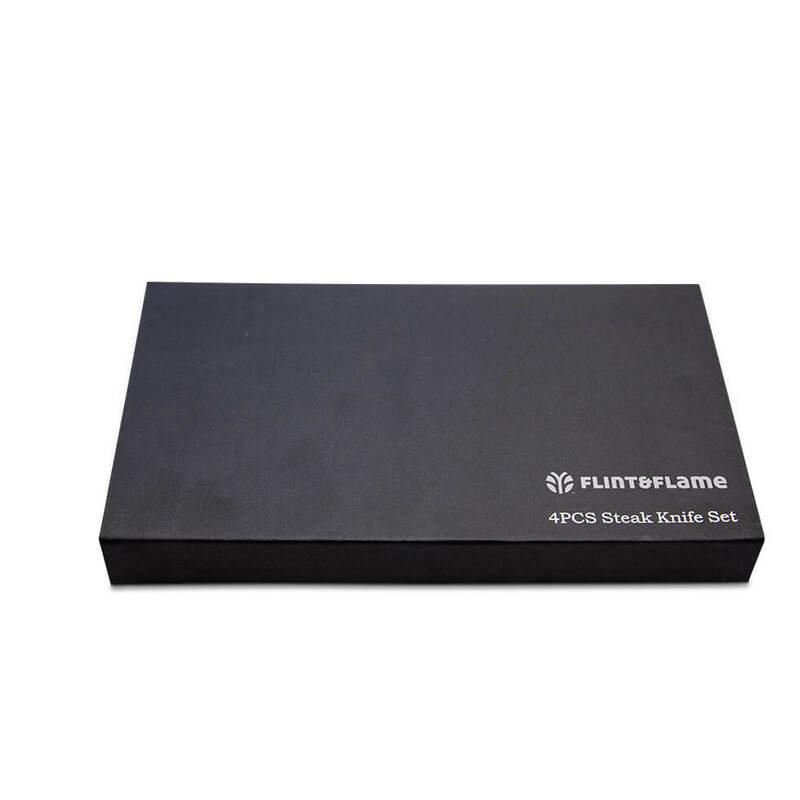 Presented in a stylish presentation case, they make a great gift.